Yesterday was our 40th wedding anniversary. Despite marriage being not much in fashion these days, I'm rather proud of 40 years of it - and all to the same man! Keir Bloomer is remarkable in so many ways, and although officially now retired, he is very active as Chairman of Tapestry and still a leading light on the Scottish educational scene. He's come a long way since the idealistic 20-year old student who married me on the last day of our last term at Cambridge University. I'm glad to say he is still idealistic, in a good way. And over 40 years of being seldom apart, he has always been, and ever will be, my best friend, as well as cherished husband. I believe we have helped each other to be true to ourselves, to keep on growing, questioning and exploring. 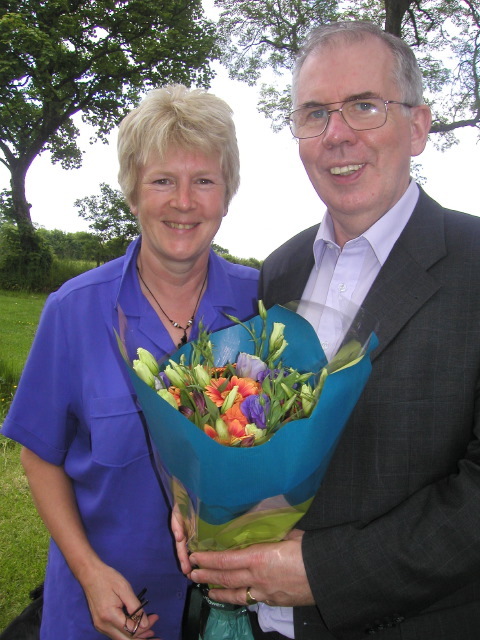 Daughter Helen had her camera along and captured the lovely flowers we'd just been given. Grand-daughter Amy was there too, capturing hearts, minds and limelight. 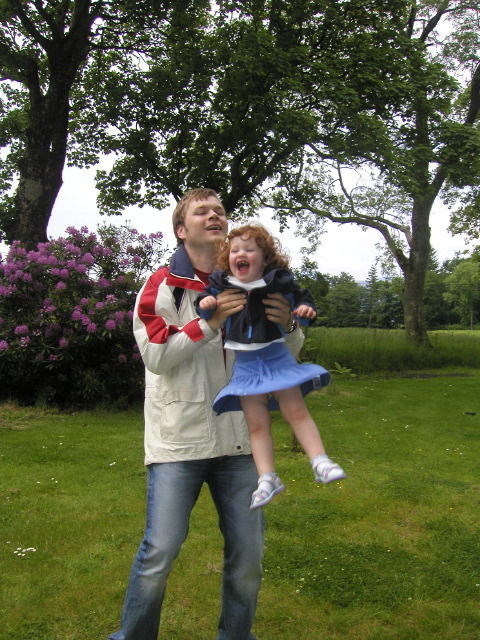 Her Uncle Sandy is brilliant with her: it's a pleasure just to watch them interacting. 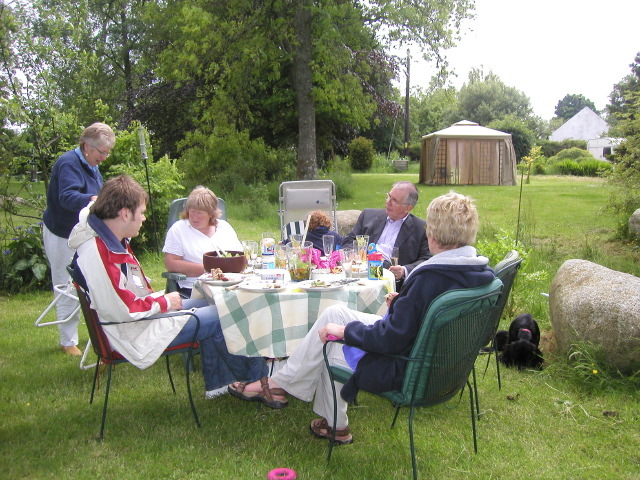 And our dear dog Bramble was included, so the whole family was together: what a lovely day we had. This page contains a single entry from the blog posted on June 8, 2008 4:20 PM. The previous post in this blog was Nigel is 60. The next post in this blog is Touching base, between trips.